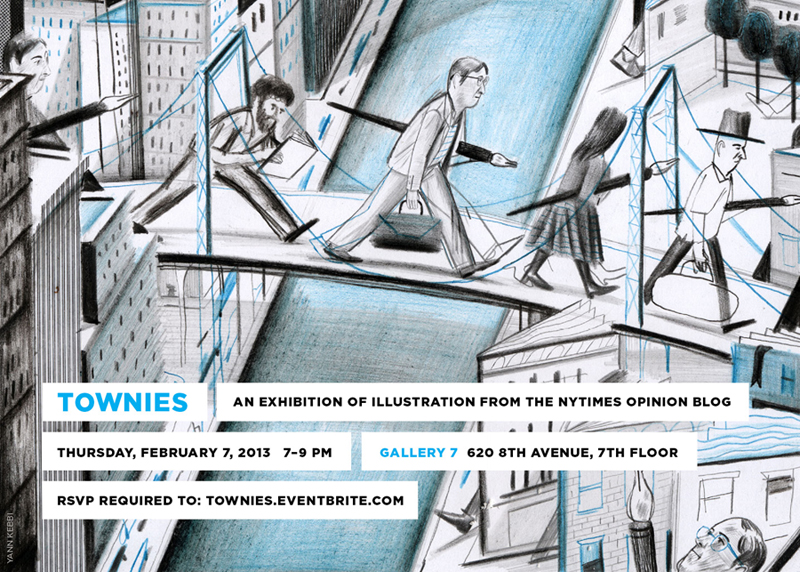 The New York Times’s Gallery 7 has an exhibition of illustration from the Op-Ed blog Townies on Feb 7, 2013. Here’s the first story, Forget me not. Posted on January 29, 2013 by Jungyeon Roh. This entry was posted in Editorial, Exhibition, Gallery, New York and tagged Miss Eggplant, NY Times Gallery 7, NYT Op-Ed, Townies. Bookmark the permalink. ← Award and exhibition for the Kiehl’s project!